5th Annual WOODBRIDGE MOM 2 MOM SALE! 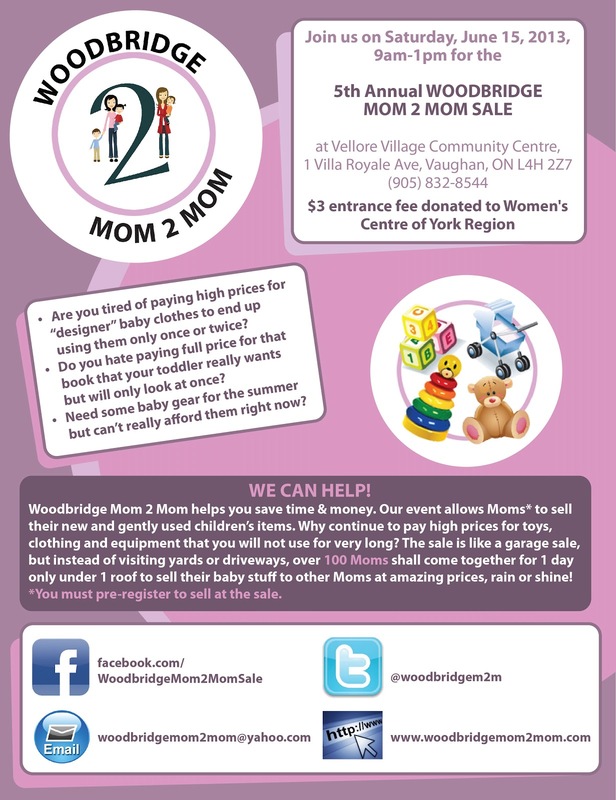 Woodbridge Mom 2 Mom Sale, helping you save time & money! Join over 100 MOMS selling kids things and/or promoting products for moms. Rain or shine, indoor venue, 1 room, 1 day only. Mark your calendar. Do not miss this once a year annual event now in it's 5th fabulous year!